“B’ruchim Haba’im” – Welcome to our congregation, Kolot Mayim. I am very honoured to have been chosen to stand with you as sh’lichat tzibbur (shatz for short), the leader of the congregation this year, 2018-2019, 5778-5779. Over the coming year we will celebrate together at Shabbat services and at simchas, we will stand with each other in times of mourning, and we will ponder together in our times of meetings and discussions. I am greatly humbled by this decision. Thank you. As Maimonides (Rambam) noted, “Only the greatest person amongst the community, in terms of wisdom and actions, is appointed as sheliach tzibbur,” (Hilkhot Tefilla 8:11). Rambam aside, I come to you this year with much enthusiasm and delight. Any wisdom I have is perhaps partly due to my length of years, and mostly due to the opportunities I have had over the years to learn with fine teachers. Learning never ends. This year I am also enrolled in a Rabbinical programme – and you, members of Kolot Mayim, are coming on board with me! I have very big shoes to fill – from within the expectations of our tradition, and more recently with the years of guidance offered by the religious leadership. As I titled my thesis, I will do the best I can. Please call me, or e-mail me (lgreenhough@shaw.ca) if you wish to speak with me. I am very happy to make appointments to visit, have tea and schmooze a little. This is Sharon’s first year as President. She was also the Membership Chair for many years. She has returned to the Board after a 5-year hiatus. Sharon’s goal is to help the Kolot Mayim Reform Temple continue to be the caring community of like-minded Jews it has been for 20 years who support and believe in the Reform tradition. She trusts this will best be accomplished by focusing on the needs of our members, and by making relationships central to how we relate to each other personally and within the context of our congregation. Sharon has extensive entrepreneurial and corporate experience, primarily in executive education, marketing and sales management. She also taught applied marketing courses at McGill University, the University of Victoria, Royal Roads University, and with the Canadian Professional Sales Association. Her last paid position was that of Executive Director of the Royal Roads University Foundation from which she retired in 2005. 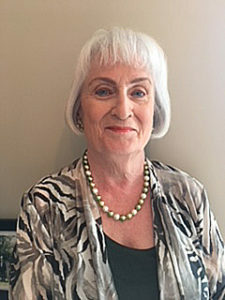 Sharon has always been active in the Jewish community, both in Victoria and in Montreal. 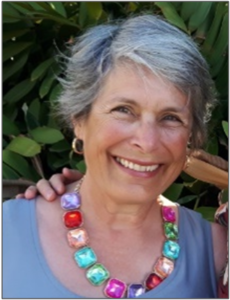 For example, she was on the board of the Greater Victoria Jewish Community Centre for many years, volunteered with the local Combined Jewish Appeal, and was a volunteer fundraiser with both Camp B’Nai Brith and Temple Emmanuel Beth Shalom in Montreal. Outside the Jewish community Sharon has been on or chaired the board of the Broadmead Care Foundation, the Board of the Fairbank Calligraphy Society, and has been a mentor with Leadership Victoria. Sharon has been happily married to Jack Shalinsky for over 30 years; together they share a vibrant family life and a deep commitment to the Reform Movement, the Jewish community, and Israel. Sharon and Jack have been members of Kolot Mayim Reform Temple since 1999, almost the inception of our congregation in 1998.